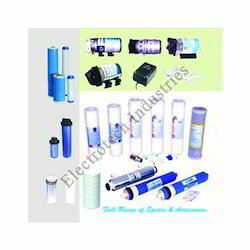 We are importers, manufacturers and wholesale suppliers of Domestic RO water purifier spare parts. We provide a wide range of inline filters such as inline sediment filters, inline pre carbon filters, inline post carbon filters in various varieties with best quality material. 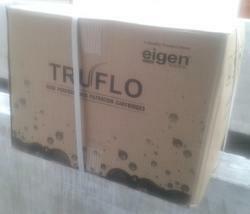 We are the largest supplier of Inline Carbon Filter for Domestic water purifiers in India. 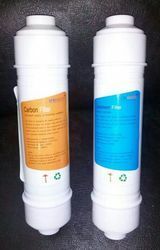 Water filters include inline PP spun /wounded sediment filters and inline Granular Activated Carbon Filters. Inline filters are offered in various varieties and are acknowledged for inline filters design, durability and is easy installation. Our range of inline filters, spares and accessories is tested on well defined parameters and is offered at market leading prices. Our assortment of Domestic inline filters are specially designed for filtration at high pressure. We are the largest supplier of Inline Sediment Filter for Domestic water purifiers in India. 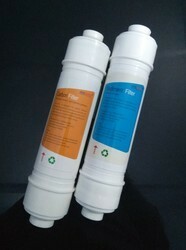 We have wide range of Water filter cartridges for domestic RO systems, with all Accessories is designed in accordance with set industry standards. 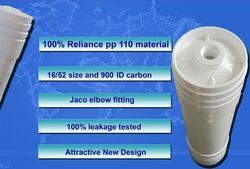 Our range of Inline Sediment Filter, spares and accessories is tested on well defined parameters and is offered at market leading prices. Our assortment of Domestic inline filters are specially designed for filtration at high pressure.